Animations are one of the most compelling methods of a conveying a message. What's amazing is that this form of entertainment can capture the attention of children and adults across the world. That's exactly what makes animations such a successful marketing and sales tool. Discover your inner animator with the Animatron Studio Pro Plan. There's no better way to create mobile-friendly marketing content. Even if you lack coding or designing experience, Animatron is very intuitive and easy to navigate. 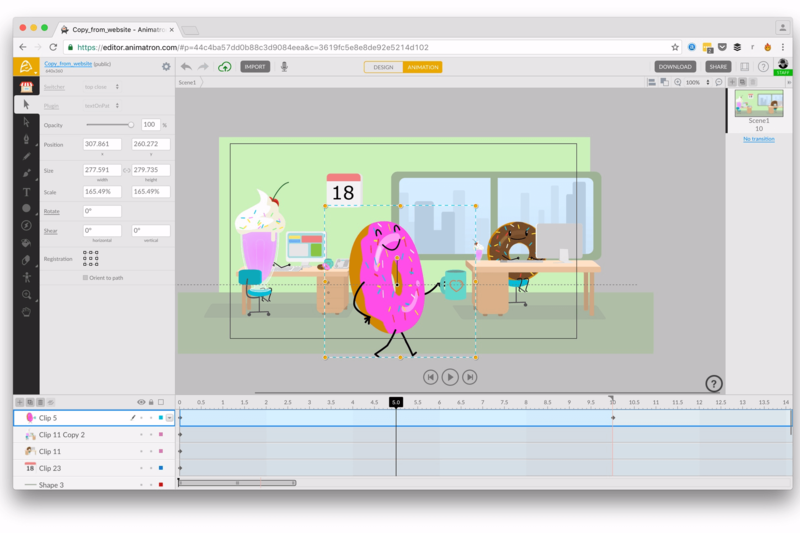 Using a WYSIWYG editor, you'll design your animations that connection millions in profound ways. You can also choose from thousands of free, pre-animated characters and backgrounds. Editing the animations with Animatron is a piece of cake. When you're all done, export the animation to a variety of formats such as HTML5, GIF, video, and much more. Take advantage of this special offer from TechSpot. You can get lifetime access to Animatron Studio Pro Plan for just $49.99. That's 95% off the original price.